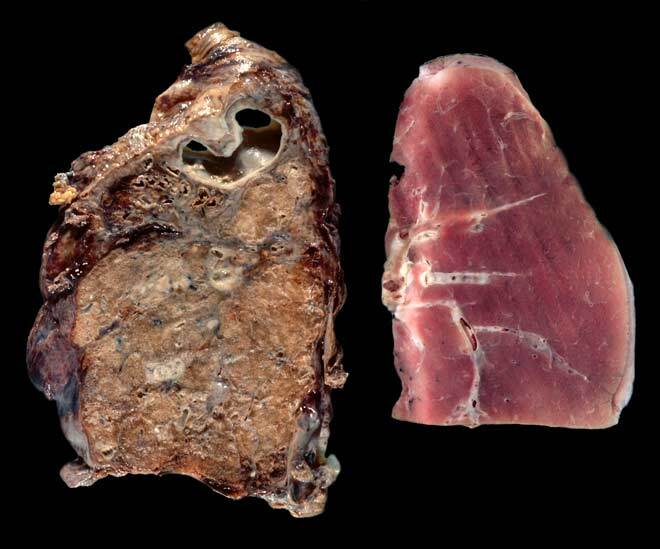 Compare these sections cut from a diseased lung with large cavities (left) and a pink, healthy lung (right). The diseased lung shows a case of miner’s phthisis (also known as silicosis) which has led to tuberculosis. Quartz dust is inhaled by miners, and trapped in the lungs causes silicosis making the victim more susceptible to diseases such as tuberculosis and pneumonia.